1. Indian National Congress, which was initially formed in the 19th century, continues to be the most favoured party, achieving victory in most numbers of elections at state and central level, having ruled the country for 51 years. Enjoying a parliamentary majority, the party is known for its legacy and family oriented leadership that includes charismatic leaders like Jawaharlal Nehru, his daughter Indira Gandhi, her son Rajiv Gandhi, his wife Sonia Gandhi and her son Rahul Gandhi. 2. Owing to the multi-party system, the country has witnessed coalition governments since 1996, with formation of alliances between major political parties that gave birth to coalitions like United Front in 1996, National Democratic Alliance in 1998 and United Progressive alliance from 2004 onwards. 3. To ensure adequate development of small villages and districts, Panchayati Raj system has been administrated where small local governments are responsible for administrative and judicial functions. 4. 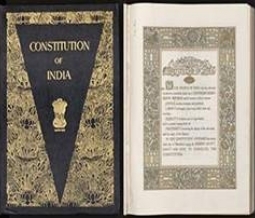 Laws in India are formed after receiving a nod from the parliament, which includes Lok Sabha and Rajya Sabha. This system was initially created to avoid power struggles and abuse of power. 5. Although democracy was suspended only once, Indian Politics is generally referred as chaotic, as over a fifth of parliament members face criminal charges including those of murders, loot, kidnap and arson. 6. Currently, Indian Politics suffer from several issues including those of corruption, poverty, development, terrorism, religion induced violence and naxalism.